Continuum of Care (CCRC) is important for many seniors as they age.  It allows seniors to receive different levels of care and have a plan of care in one place. Check out this article if you have questions on what level of care is best for you or a senior you know. Albuquerque is home to over 50,000 seniors over the age of the 65, and is one of the fastest growing cities for seniors in the nation. There are many reasons seniors enjoy Albuquerque, one of them being the great weather. With an annual high of 70 degrees, and only 59 days of precipitation, it is a great place to retire or receive care. Look below to find facilities that provide continuum of care in Albuquerque, New Mexico. There is perhaps no more nerve racking time than moving from home or community and into a memory care dedicated facility. Change can be hard, however choosing Palmilla Senior Living provides future residents, of their Memory Care Neighborhood, with a step-by-step approach to ease into their new home. For those dealing with Alzheimer’s or dementia issues will find comfort in the Transitional Memory Care program that allows seniors to seamlessly transition into full memory care living at their own pace.